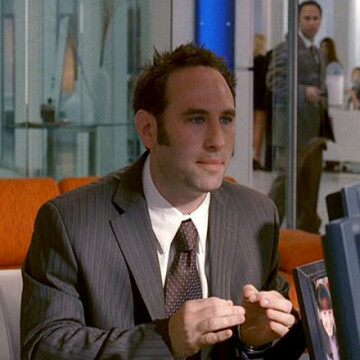 The Sklar brothers, two of television’s most entertaining identical twins, appear in episode eight of Entourage’s fourth season. Randy Sklar plays the part of Jim, the likeable twin who has just been wronged by both his brother and his boss. At least Jim can take heart in the fact that Mary J. Blige has gone on record to say he’s her favorite of the twins. See more of the Sklar brothers at work in episodes of Childrens Hospital, Always Sunny, and Comedy Bang! Bang!